November Schedule at El Oceano Luxury Beach Hotel, Mijas Costa, Spain. 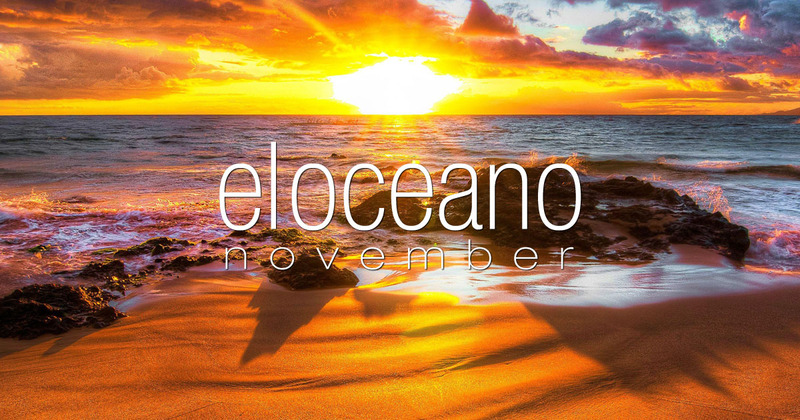 November Schedule at El Oceano Luxury Beach Hotel and Restaurant. Your chance to take advantage of the amazing low-season rates in the hotel and live, quality entertainment in the restaurant. Plus, don’t forget the three Sundays in November! The final few weeks before the Christmas and New Year festivities begin, it’s a month to enjoy some amazing off-season room rates, plus the best restaurant to be – and to be seen! – on Spain’s beautiful Costa del Sol. Our November Nights promotion is always popular and special rate rooms do sell quickly! Is your room booked? 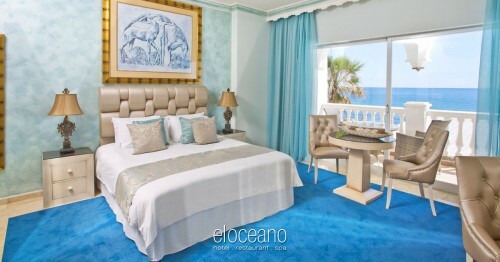 From the 1st to the 19th of November, you can enjoy the fantastic El Oceano Hotel at a special, low-season rate! 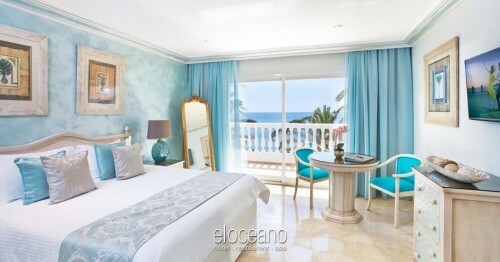 Our beautiful, Non-Sea-View Rooms are available for just 120€ per night. 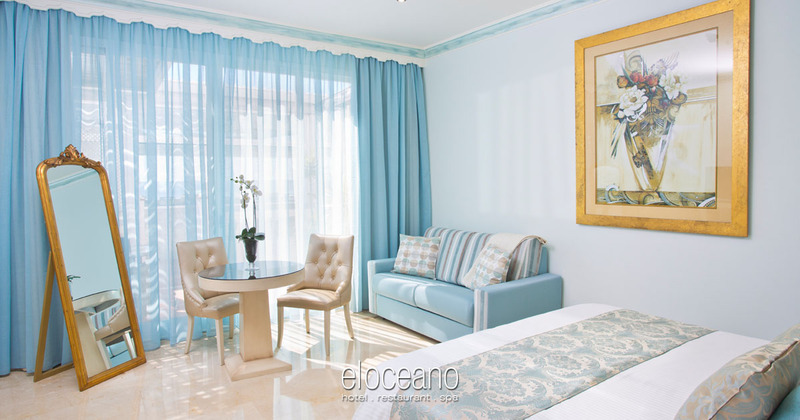 Each comfortably sleeping two guests, the Double Non-Sea View Rooms are well-appointed and equipped and furnished in a classic style with warm, delicate colours. 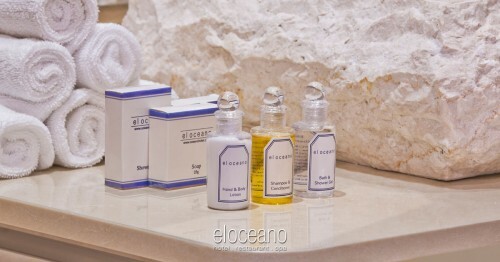 The private, en-suite bathrooms are comfortable with a bathtub, shower and toiletries. Of course, all our other rooms and suites are available for November! Stay in one of our Deluxe Mini Suites, a self-catering studio apartment, or really want to push the boat out in one of the four exclusive Penthouse Suites – a true taste of luxury! If you’ve yet to experience El Oceano Hotel, what are you waiting for?!! We are a family-owned and operated, boutique hotel, right on the seafront in Mijas Costa, between La Cala de Mijas and Marbella. Our 55 rooms and suites are second to none, all beautifully decorated and well equipped to the high standards our regular guests have come to expect. Service. Service is key to any hotel and we take our commitment to only the best customer service. Our teams – in the hotel, the restaurant, the pool bar, the kitchen and everywhere else – are courteous, friendly and professional. We’ve earned something of a reputation for our standards of guest care and attention, one were rather proud of! Location. We can’t take credit for the Mediterranean sunsets, but our location right on the beach is difficult to match! Attention to Detail. We pay a lot of attention to the little things, as well as the big things! 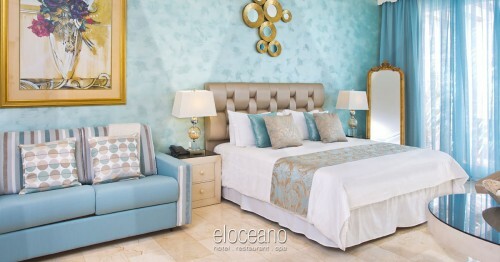 All our rooms and suites have an immediate ‘wow factor’, as soon as you walk in. Our restaurant will pay as much attention to the presentation of your meal, as to the quality of its ingredients! El Oceano… Paradise is closer than you think! 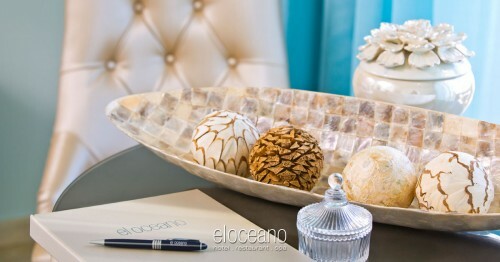 El Oceano will close its doors on November to 20th, for a short break, before re-opening on December 12th for the Christmas festivities! In the restaurant, we will only be accepting restaurant table reservations from the 1st until the 19th of November. The highlight of any month must be our Sundays! This year, we have three Sundays in November, on the 4th, the 11th and the 18th. As this post is written, there is availability for all three dates, but we seriously advise you book early! We have confirmed entertainment in the restaurant, with La Negra Mayte joining us every Thursday and Frankie B performing every Saturday.